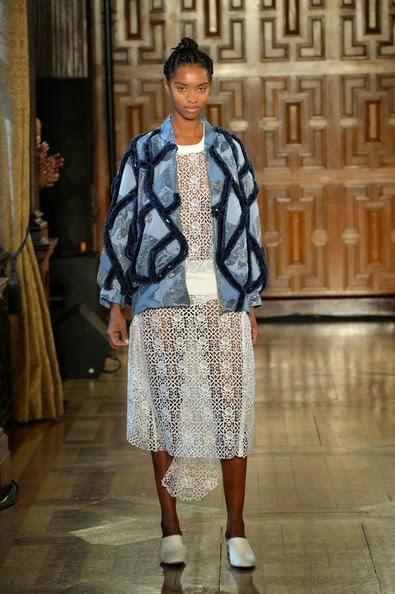 Teatum Jones have been on the London Fashion Week schedule for many seasons now. Ignorantly, I haven’t paid too much attention to the label. That all changed with Spring 2015. 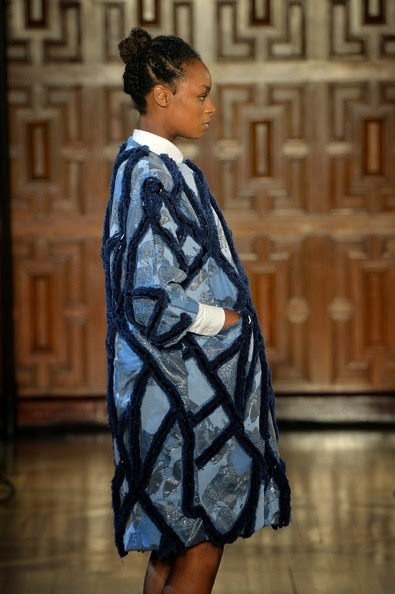 Catherine Teatum and Rob Jones are the designers of the London based brand. The label is renowned for it’s texturising and modernist approach to elegance. 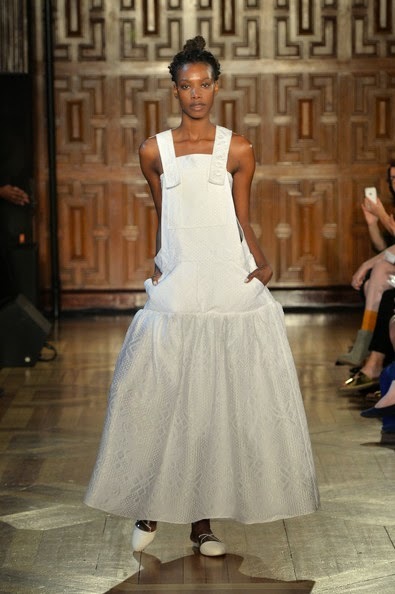 For Spring 2015, the duo sought inspiration from American soul and jazz singer, Nina Simone. As The LFW Daily newspaper reported, Nina’s Methodist background is a perfect explanation for the biblical undertones in the collection. There was a gospel choir singing and a Swarovski-encrustments which resembled a maniple. The elegant designs oozed resplendence and the modernist approach to the same way of design captured what luxury fashion is today. The Swarovski-encrusting featured throughout the collection gave the show that extra oomph and the opulence was similar to that of ecclesiastical wares. 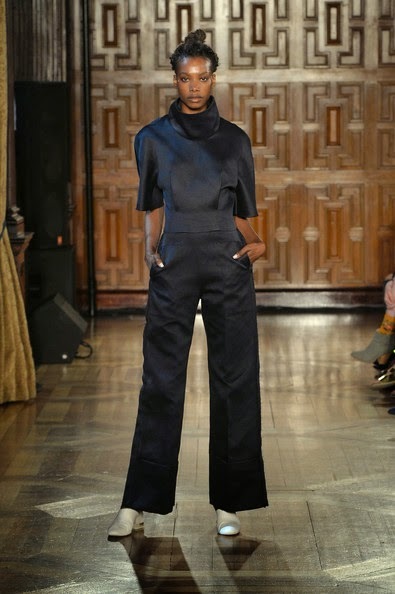 This was a great collection from Teatum Jones and I look forward to seeing what the duo have to offer for Fall 2015.